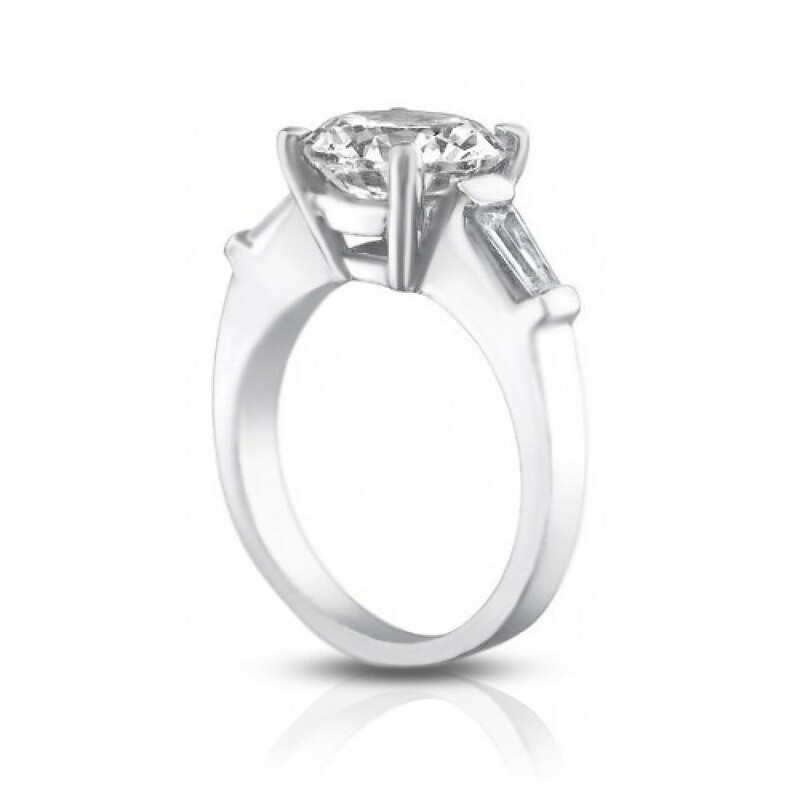 If the lucky lady in your life is truly unique, this is the perfect ring to celebrate her! 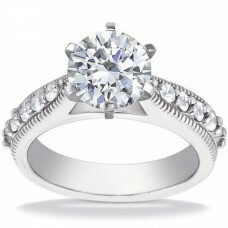 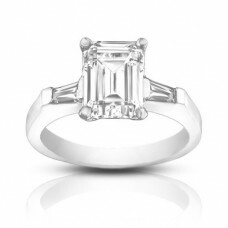 2-lovely baguette diamonds are carefully channel-set on either side of a fabulous center stone. 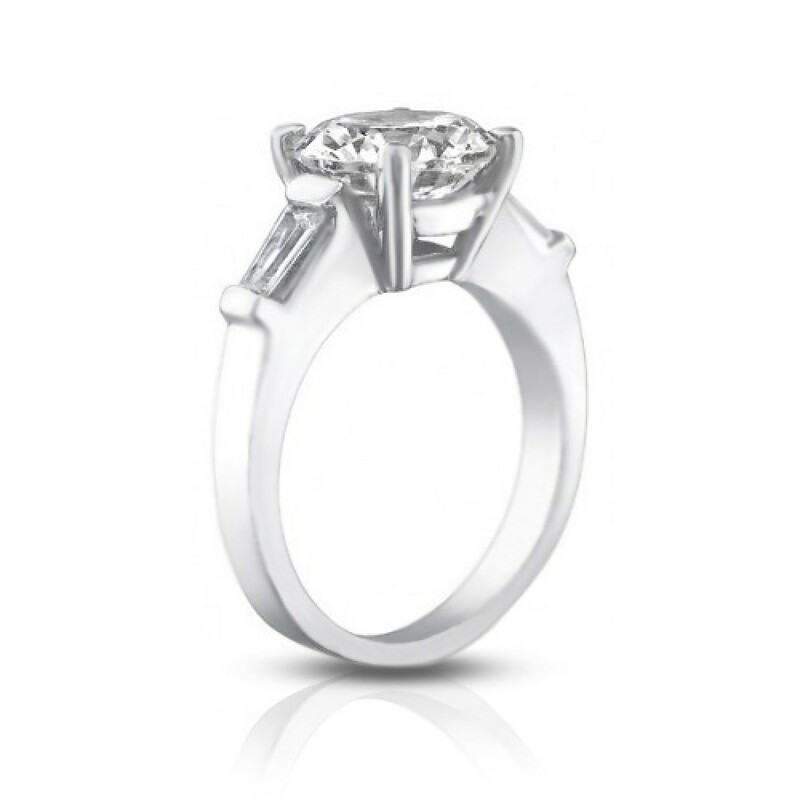 The lovely baguettes sit shoulder to shoulder and truly add a designer’s touch to this ring. 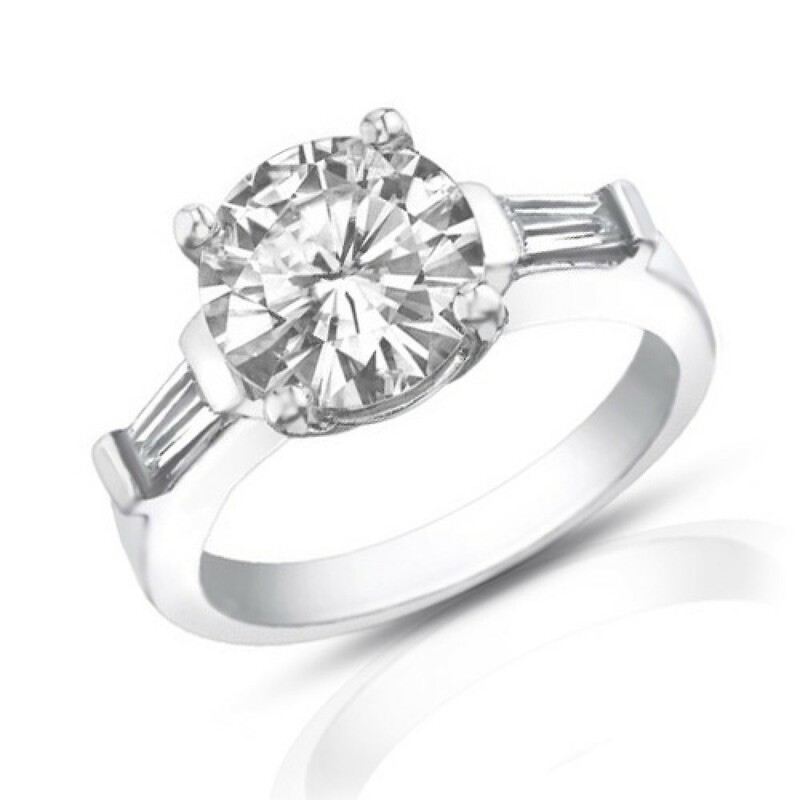 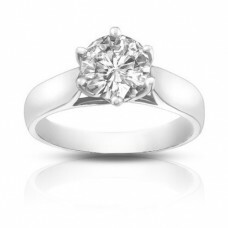 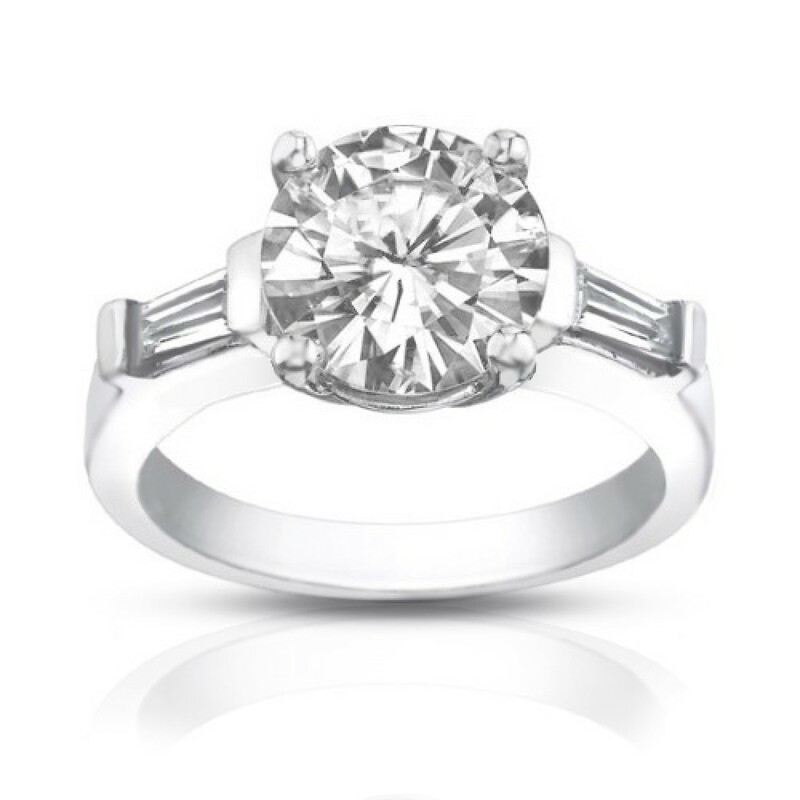 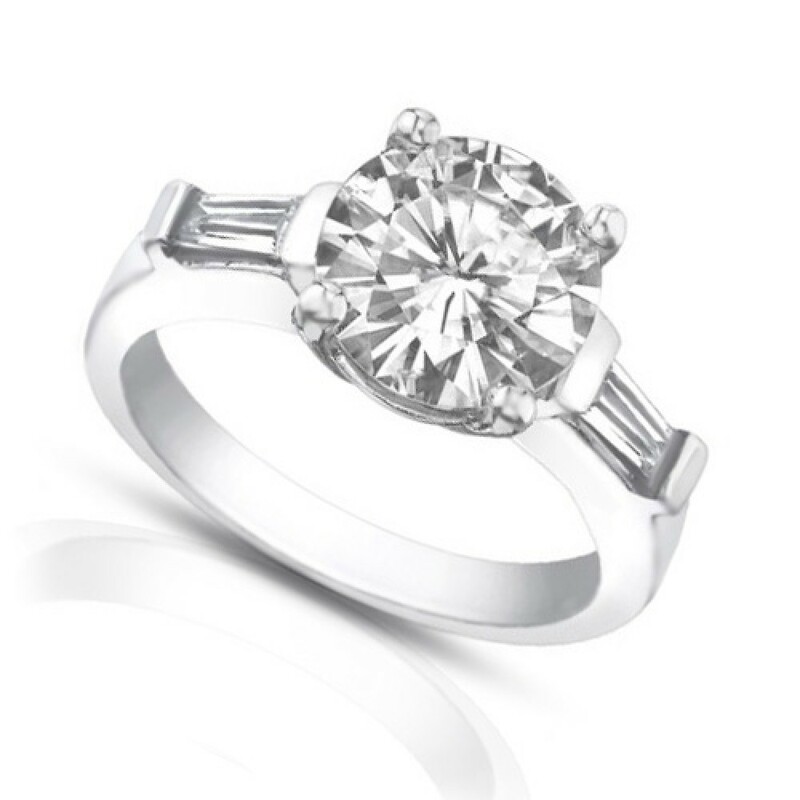 The center stone is set in an incredible 6 prong setting, and the ring is available in your choice of gold or platinum Truly delicious!